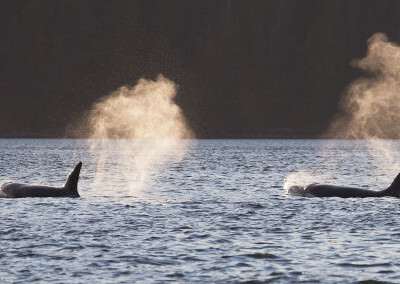 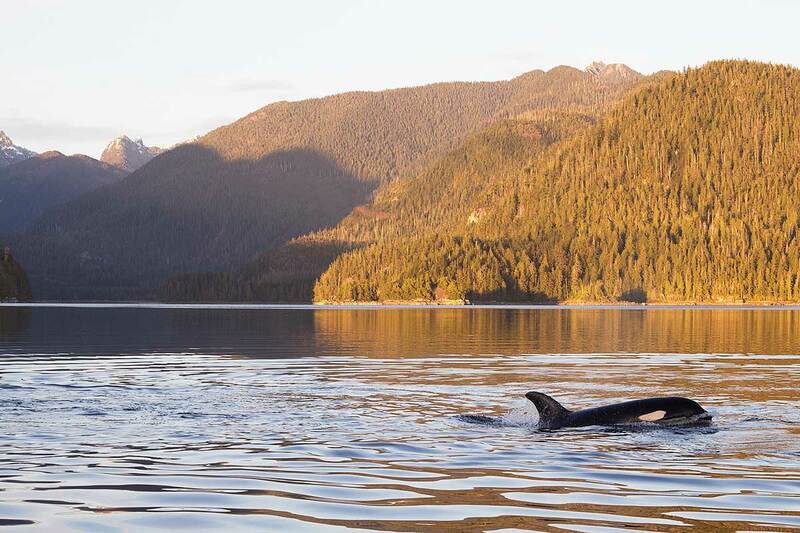 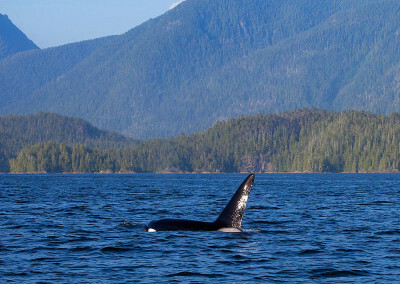 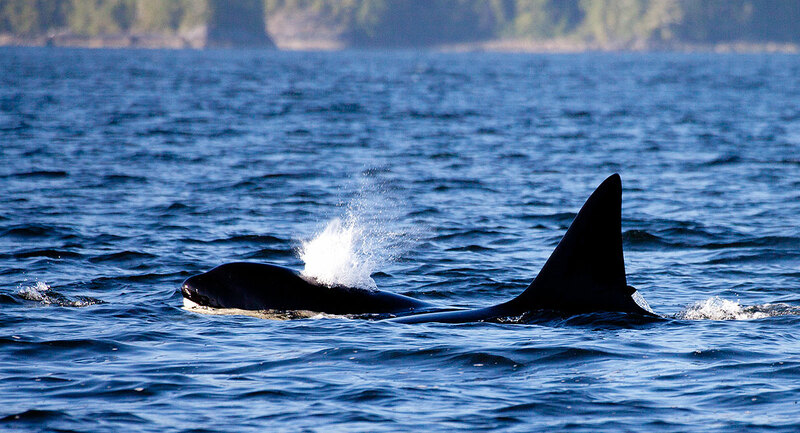 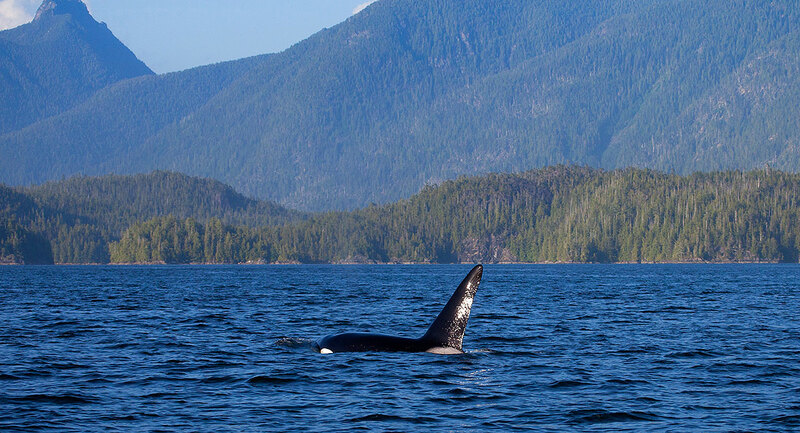 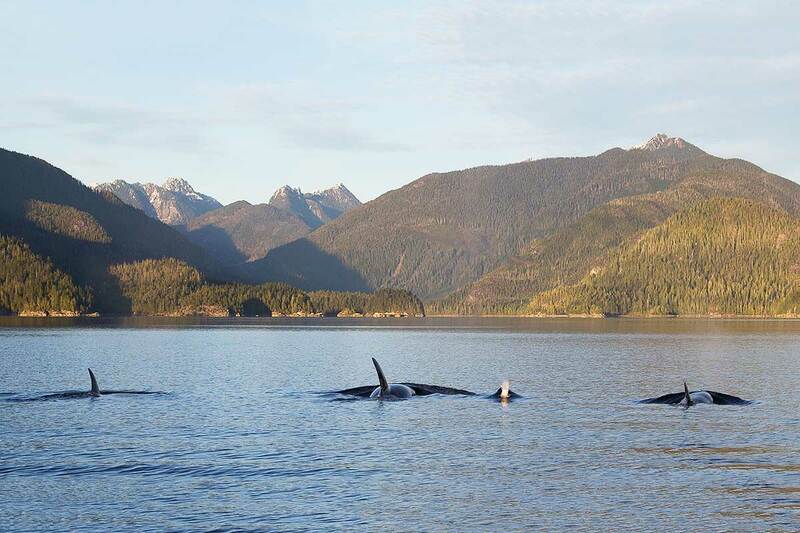 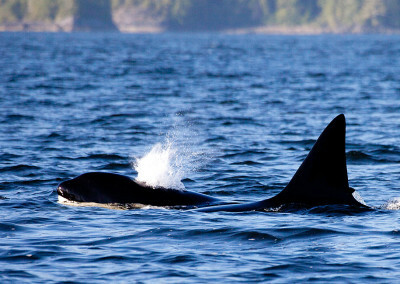 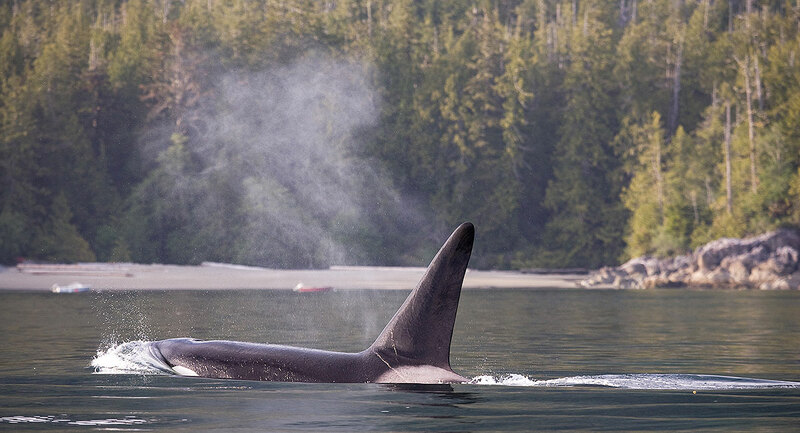 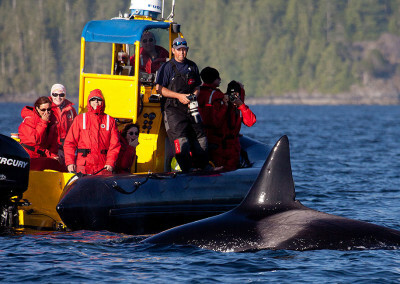 Tofino Orca Whales include residents and transients: It’s always a big deal when we see them. 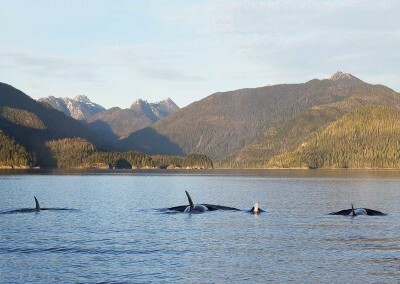 Phones ring all over town! 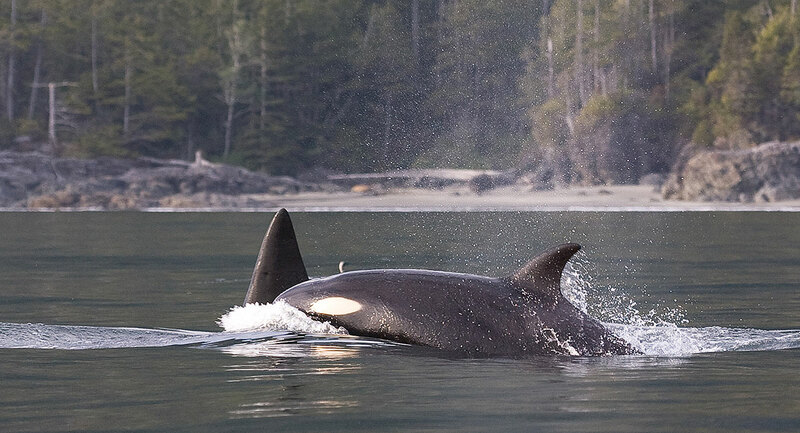 We like the term Orca Whales (Orcinus orca) but these whales are also referred to as Killer Whales and are the largest members of the oceanic dolphin family. 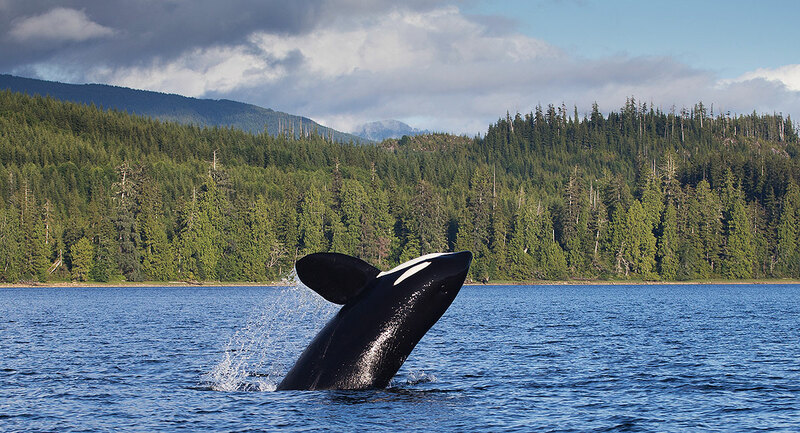 Orcas live in both the cold Antarctic and Artic oceans and the tropical waters. 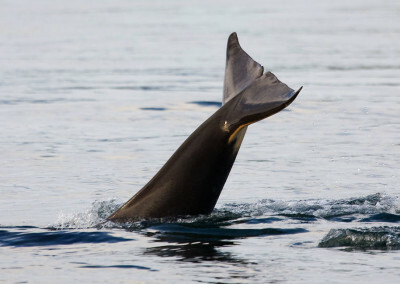 Populations often specialize their diets according to their location: some eat fish exclusively and others dine on marine animals (sea lions, seals, walruses, and other whales). 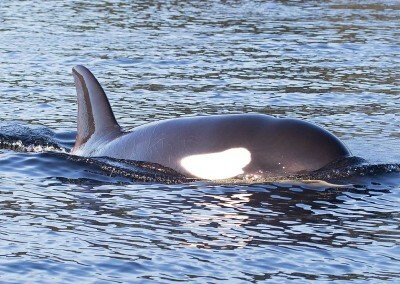 Orcas are very social sea mammals with matriarchical families, sophisticated vocal patterns and organized hunting techniques, all of which are passed on from generation to generation. 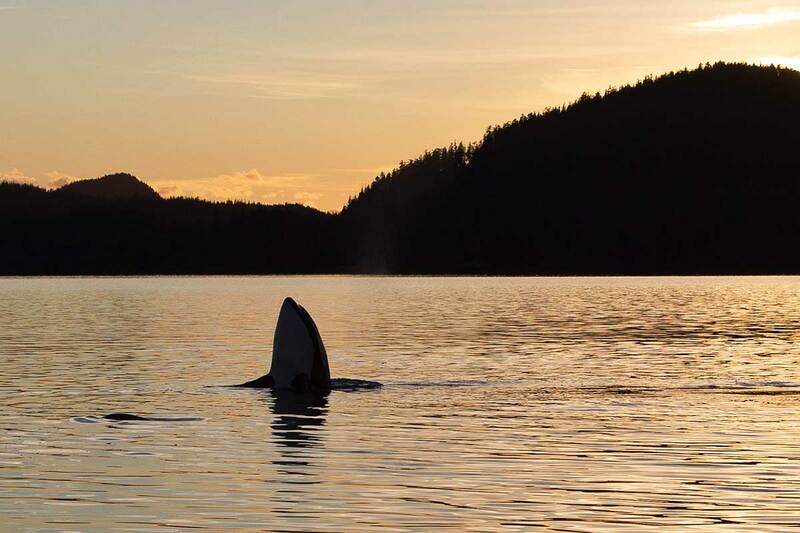 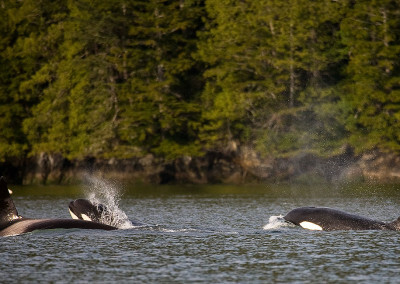 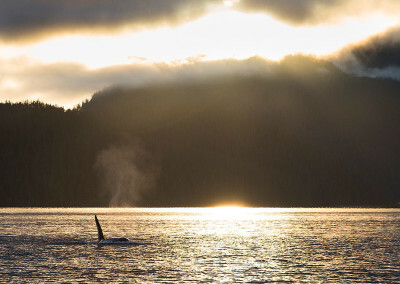 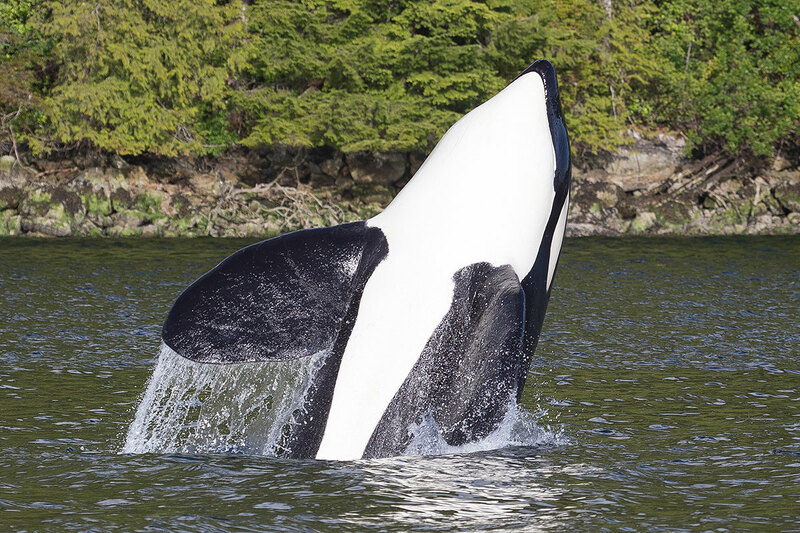 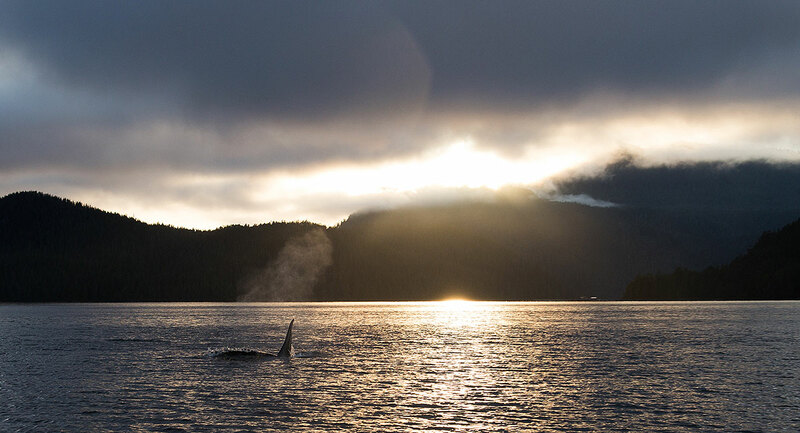 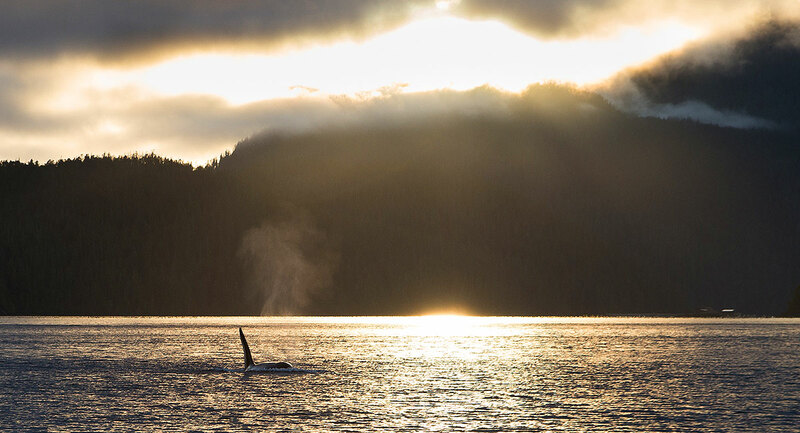 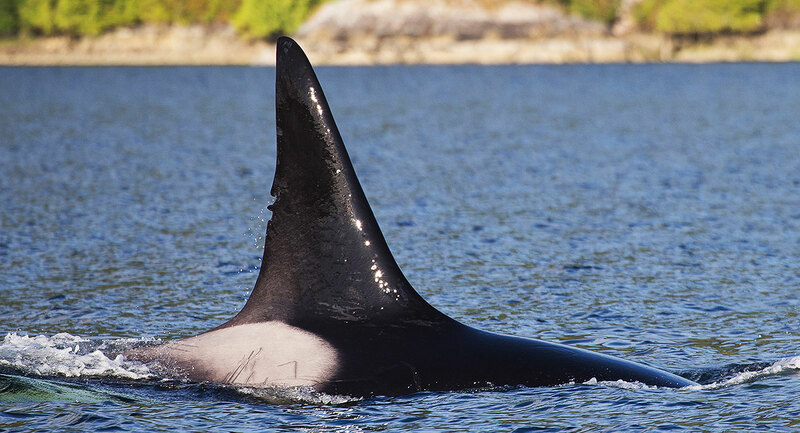 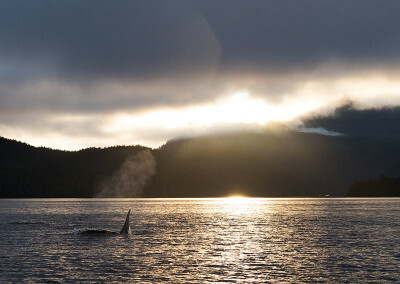 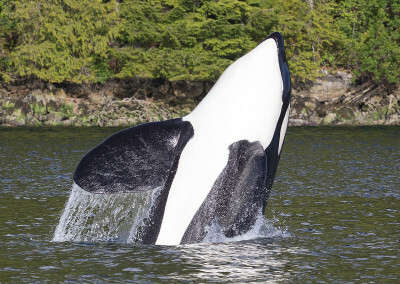 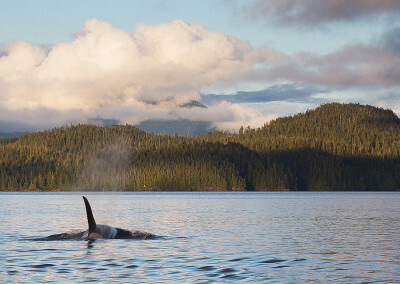 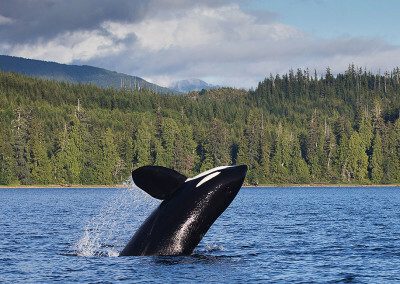 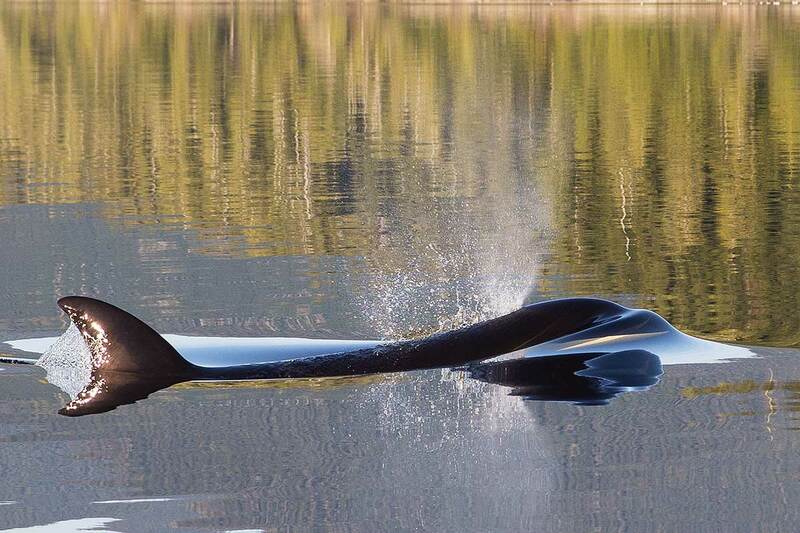 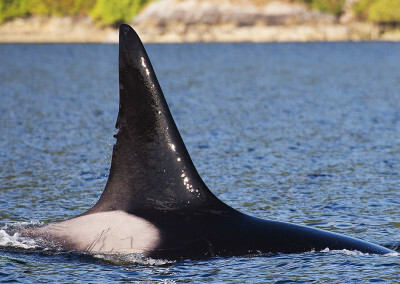 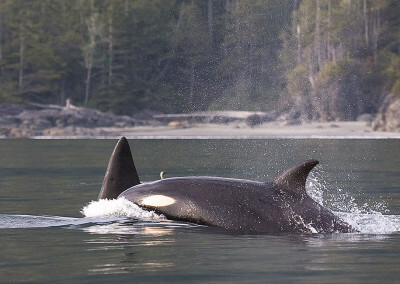 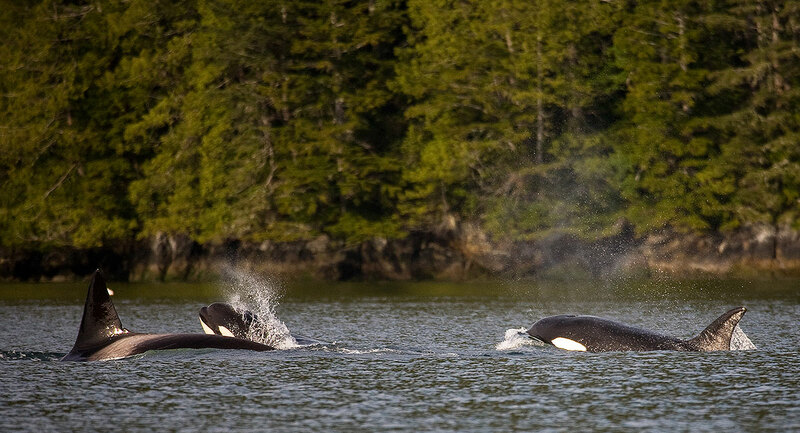 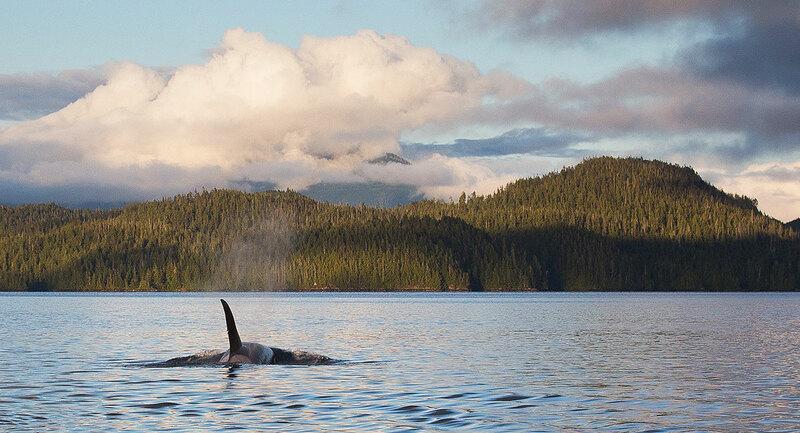 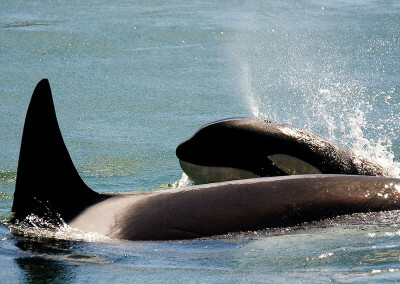 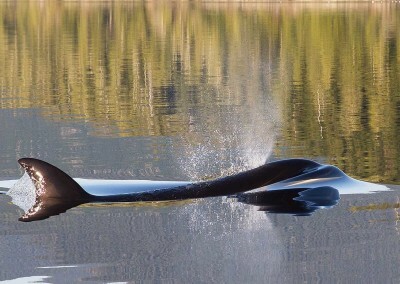 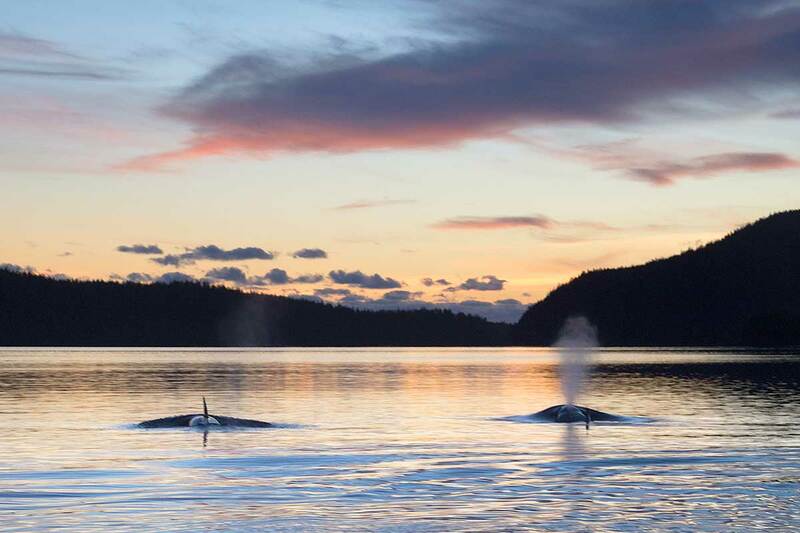 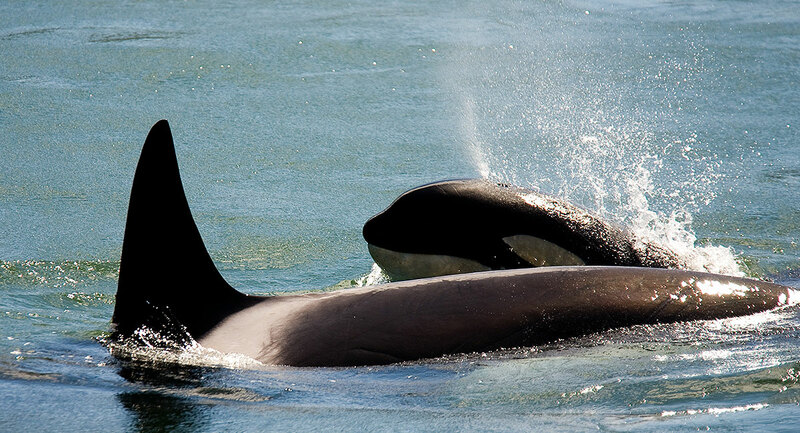 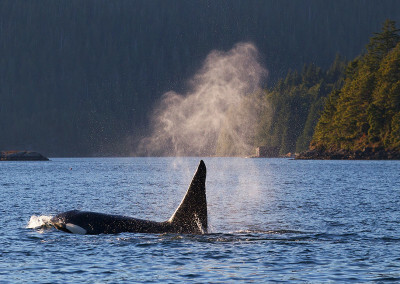 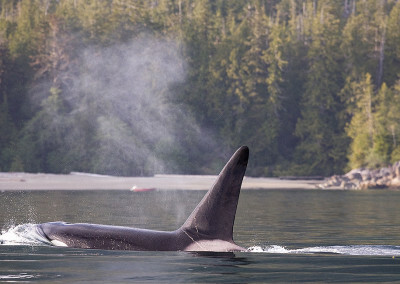 Many First Nations hold orcas whales in high esteem in their stories and art. 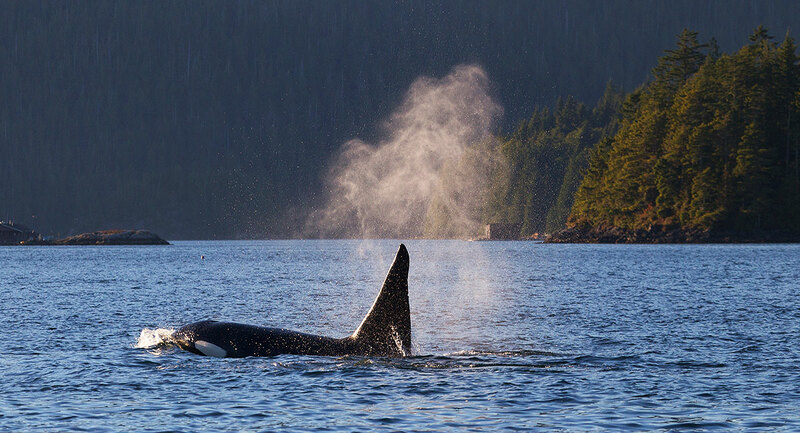 The Haida respect orcas as the most powerful animals in the ocean and their stories talk of orcas living in houses in villages under the water. 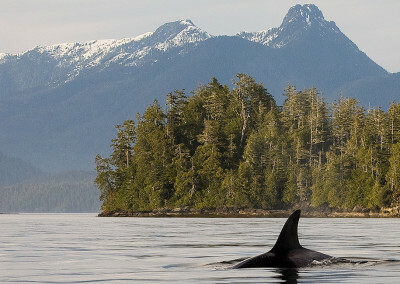 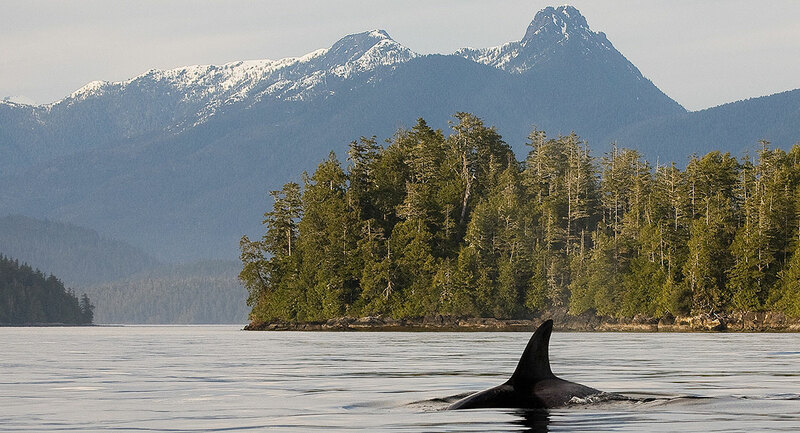 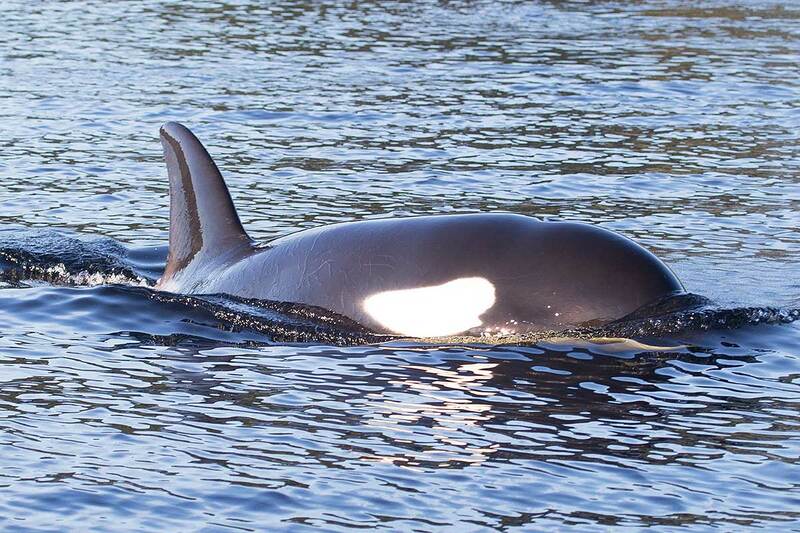 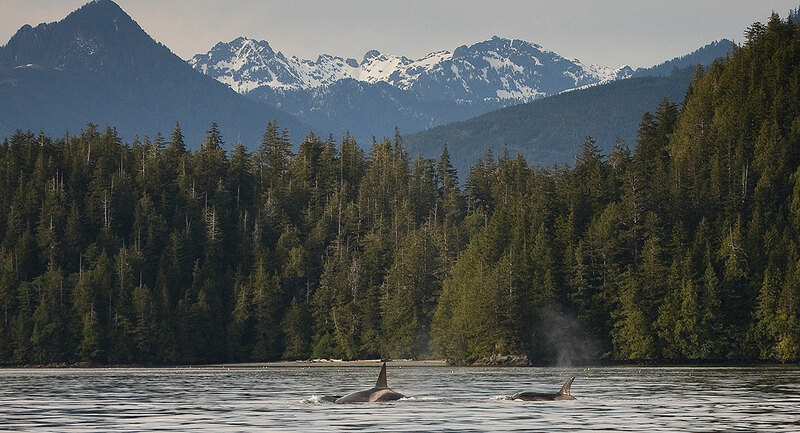 The Nuu-chah-nulth people of this area speak of orcas embodying the souls of deceased chiefs. 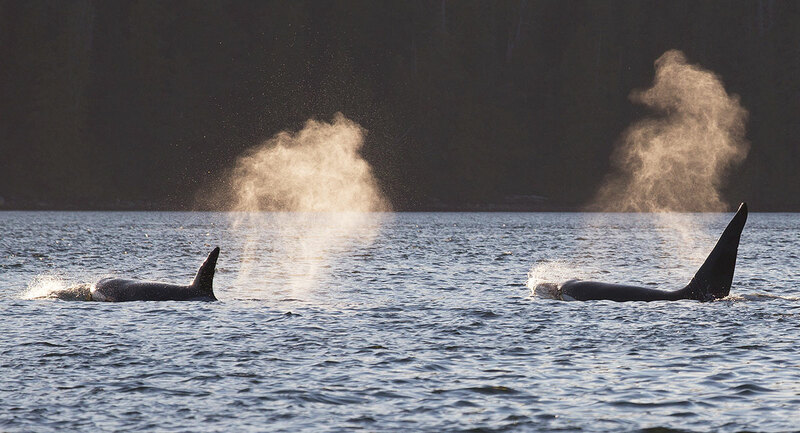 No matter what your beliefs are these graceful, black and white whales, with their tall dorsal fins, inspire a sense of awe and somewhere deep inside our beings a sense of belonging to a bigger family of all things living. 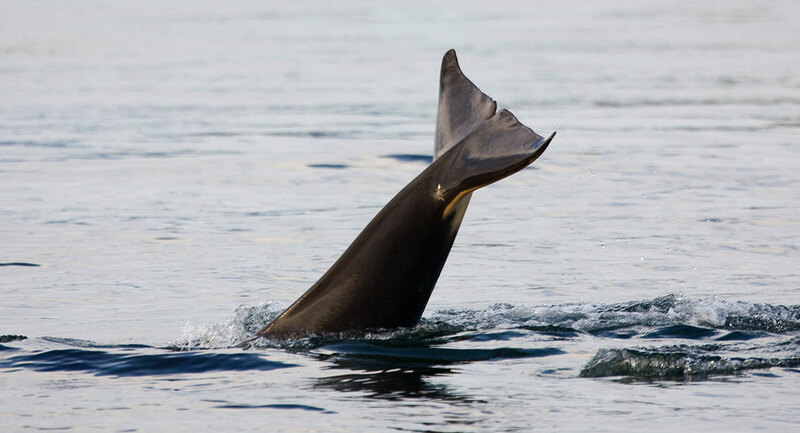 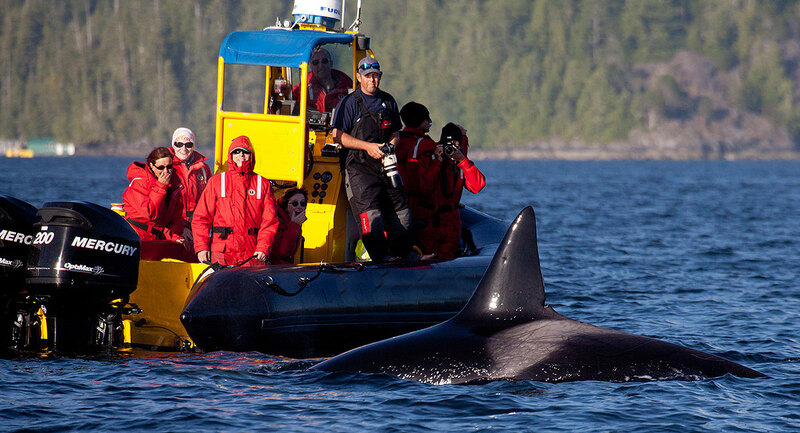 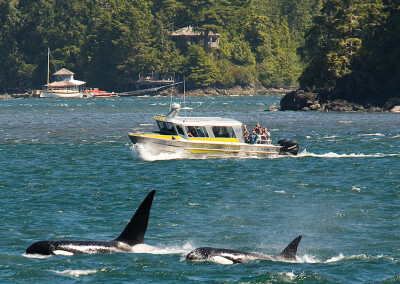 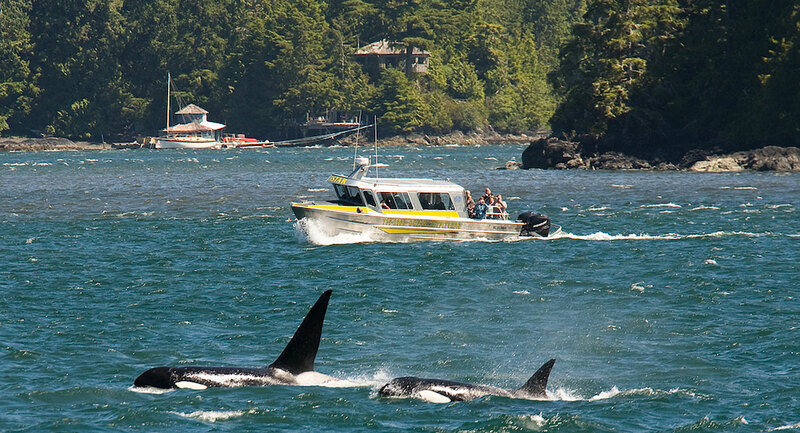 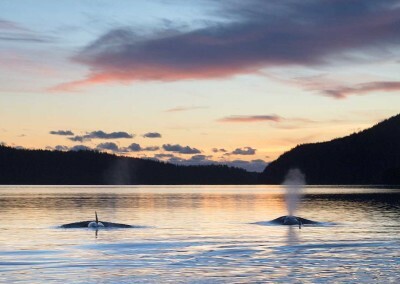 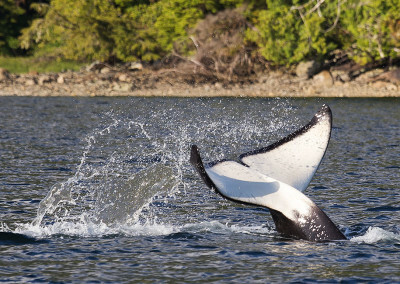 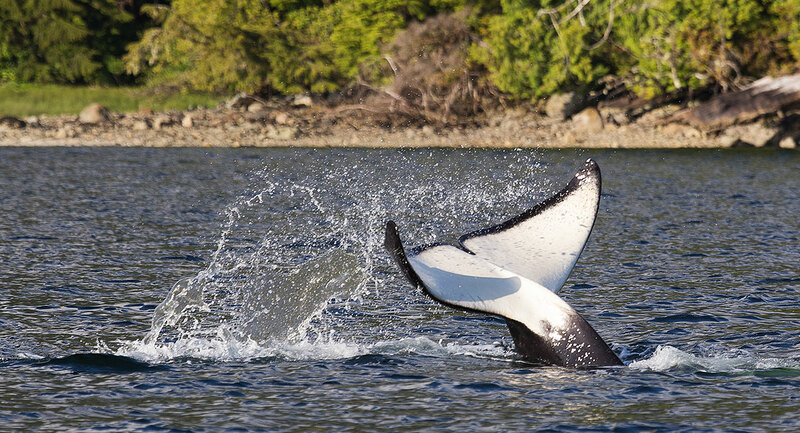 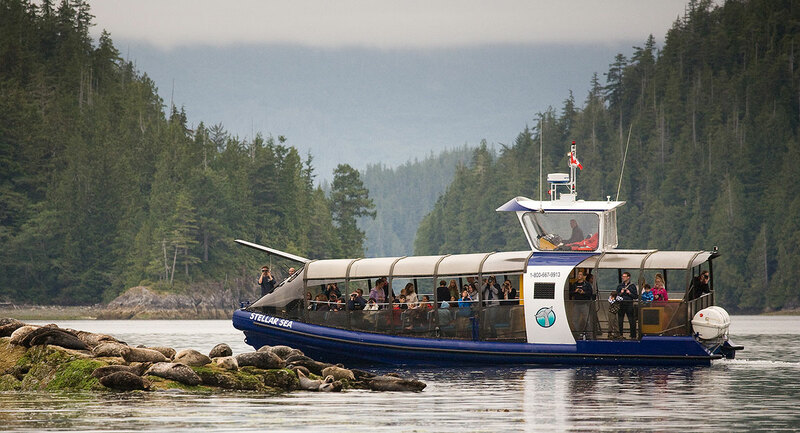 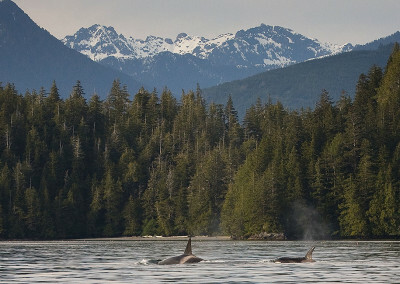 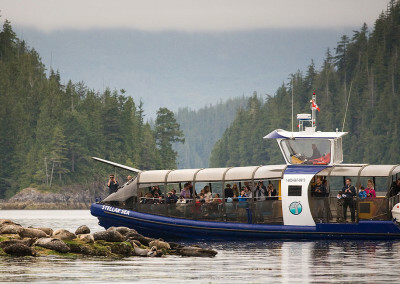 Go Tofino Whale Watching with The Best of Tofino Whale Watching Tours!